What do you think about a romantic escape? This is the Valentine’s weekend and we deserve many hugs in a beautiful place with our lover … I’m going to reserve my personal love escape on http://www.booking.com from my smartphone! On booking.com there are more than 40 languages ​​available and 58 different currencies, so at first I choose mine. Then, I choose a location, dates of check-in and check out and finally I can launch the search. 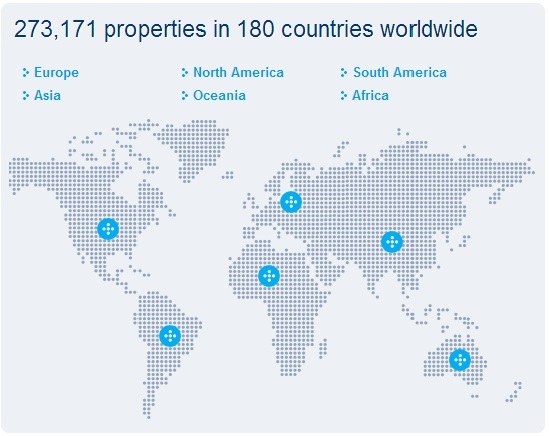 Booking.com has a database with more than 270.000 properties in 180 countries. In my research’s results I can select additional criteria, so I choose “romance/honeymoon”, then I organize the results based on judgments given by guests and finally I book! I give my personal and credit card data (usually accepted Visa, MasterCard and American Express, but some hotels accept more credit cards) for warranty. You don’t need to register on the website, but after the first booking your data are saved, so the next time you will book, you can do it quickly! I received an email with all the details and a pin code to access to my personal area, so I can change or cancel the reservation if I want. In the email, there are hotel’s contacts, so you can contact them and ask everything you want. I forward the email to my friend that come with me … who told you singles cannot celebrate Valentine’s Day?